With this module, payments made via the gateway of Trustly can be integrated into your Magento shop. The module contains the files of Magento 1 as well as Magento 2. With this module payments made via the gateway of Trustly can be integrated into your Magento shop. 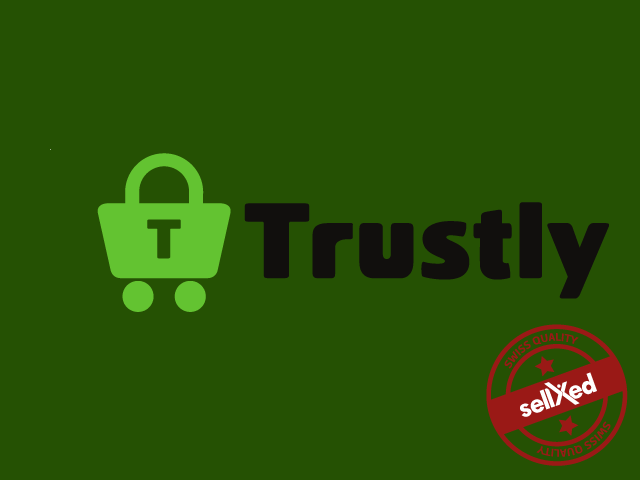 The module links your Magento shop to the payment system of Trustly. You receive a license of unlimited duration and are additionally granted free e-mail and telephone support during 12 months as well as access to all our updates and upgrades. 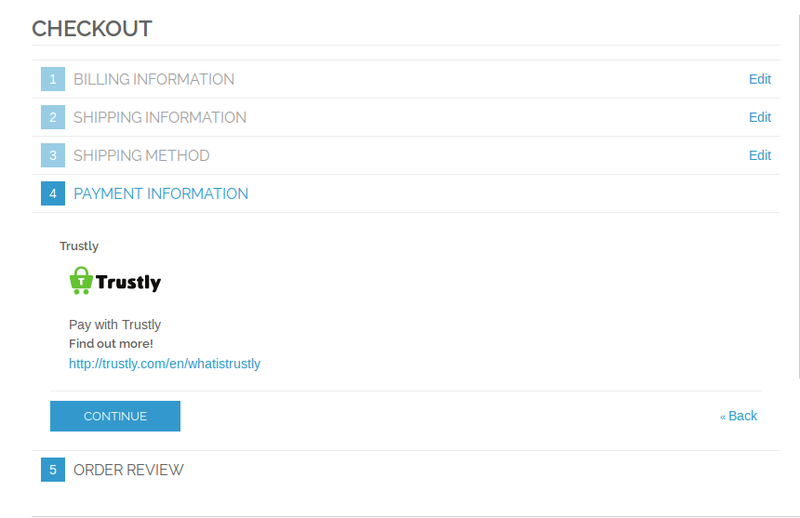 Trustly officially recommends our modules for usage. Trustly offers all plugin extensions to new clients for free, both with and without installation. To get started with online banking payments through Trustly, fill out your contact details here and soon you'll be ready to roll! 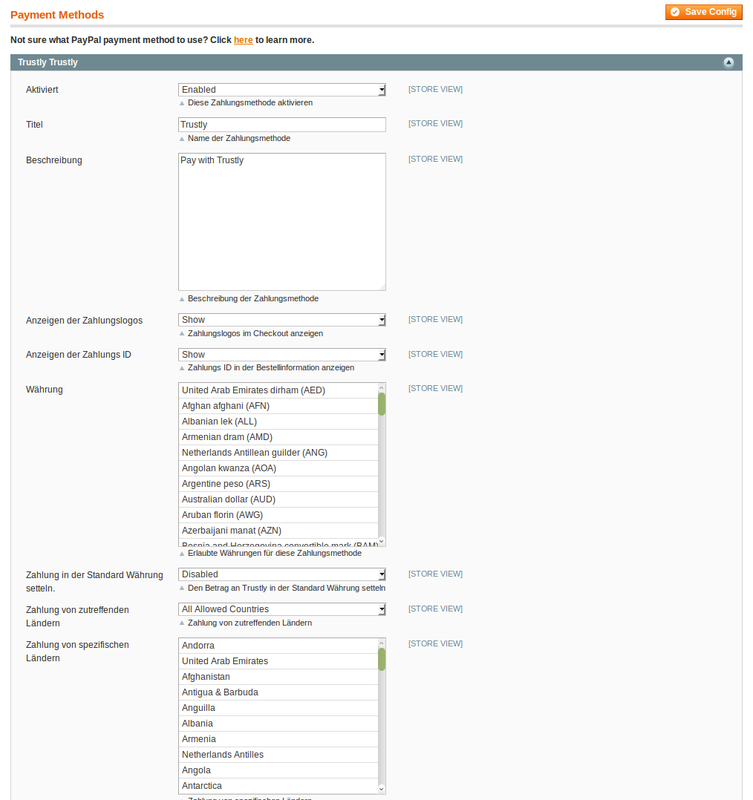 The Trustly Magento Payment-Extension supports the authorisation method Payment Page. With Payment Page, the completion of payment occurs on the redirected Payment Page of Trustly (with an integrated mobile dection). This authorization method is fully PCI DSS SAQ A compliant. Take advantage of the potential of Trustly in your Magento Store . Your customers will benefit from a variety of national and international banking connections. The Magento 2 Trustly Payment Extension is working with the default Magento 2 checkout. We explicitly tested it with the standard Magento 2 checkout only. 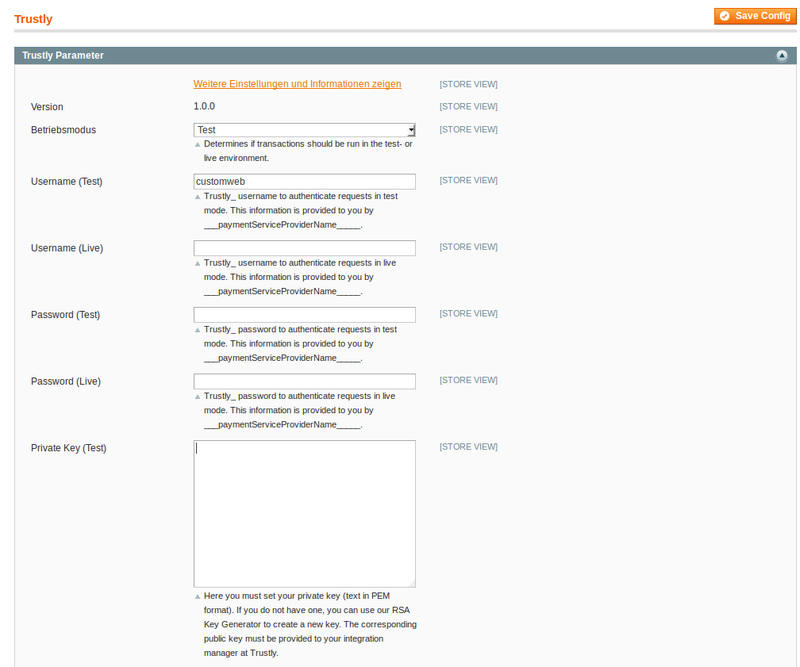 The module allows you to refund transactions directly from your shop backend. Customweb is an official software-partner of Trustly. This guarantees all-inclusive functionality and a smooth operation. Our modules are officially recommended for usage by Trustly.